Supply of homemade recovery food and herbal teas and the preparation of plantbased meals for you and your family. I can also provide nutritional information and considerations on foods that will support you. Feel free to get in touch for a chat about what your family may need, I'd be delighted to explore possibilities with you or answer any questions you may have. I charge £18 per hour for postnatal support (concessions and discounts are available). If you have experienced some form of trauma or would like to explore more deeply I recommend booking a birth exploration session. ﻿The miracle of birth and the journey to parenthood is a momentous experience. It is wonderful to openheartedly recognize and prepare for the arrival of precious new life. A prebirth doula is especially helpful if you are feeling anxious, would like to learn more about natural birth or are experiencing a challenging pregnancy for whatever reason. Knowing that there is someone you can trust available and present can reduce stress and help you and your family to relax, prepare for and enjoy birth and beyond. I offer therapy sessions in Edinburgh or via skype, please feel free to get in touch if you have any questions or would like to chat about how I might assist you on your journey. 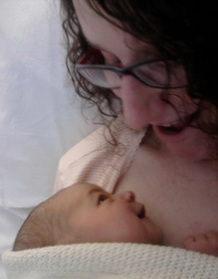 While my main focus is currently on postnatal doula support, I do occasionally support births. If you feel that I might be the right birth doula for you, do feel to get in touch for a chat and an exploration of possibilities. ﻿For further information about my doula service, please click here.